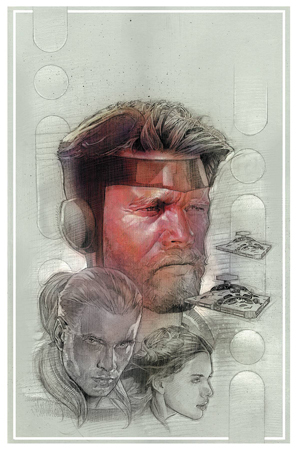 DYNAMIC FORCES® - THE STAR WARS #0 LUCAS DRAFT SILVER SIGNATURE SERIES SIGNED BY MIKE MAYHEW! THE STAR WARS #0 LUCAS DRAFT SILVER SIGNATURE SERIES SIGNED BY MIKE MAYHEW! ULTRA-LIMITED SILVER SIGNATURE SERIES EDITION! A companion to the eight-issue adaptation of The Star Wars, this is an exclusive peek behind the scenes at the designs that have brought a new-yet incredibly familiar-galaxy to life. Included in this volume are the never-before-seen comics sequences that were used in DARK HORSE's pitch to George Lucas! FINAL COVER MAY VARY. STAR WARS #1 DYNAMIC FORCES EXCLUSIVE LIGHTSABER SILVER SIGNED BY COVER ARTIST GREG LAND!